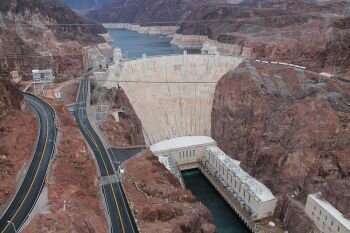 Lead author Professor Benjamin Sovacool, Professor of Energy Policy at the Science Policy Research Unit at the University of Sussex, said the era of the awe-inspiring mega hydropower projects such as the Hoover Dam in the US and The Three Gorges in China should be coming to an end in favour of smaller projects. He added: "Even though hydropower might not bring immediate and all-encompassing benefits to a country, it is still a vital source of renewable energy." The report's authors, Prof Sovacool and Dr. Götz Walter, say the report should be food for thought for major institutions such as the World Bank, currently calling for substantial and global investment in hydropower as a means towards international development. They add it is a warning to the cheerleaders of major projects such as the Grand Inga Dam in the Democratic Republic of Congo, a $80 billion project costing twice the country's annual GDP, who promise speedy and far-reaching economic impact on a transformational scale. They also recommend that global bodies backing hydroelectric need to better recognize, and perhaps compensate, potential losers of their schemes. The World Commission on Dams estimated that about four million people were displaced annually by hydroelectricity construction or operation while another study looking at global energy accidents over 100 years found hydroelectric dams were responsible for less than 1 percent of total energy accidents but caused 94 percent of reported fatalities and $9.7 billion in damages. Prof Sovacool said: "Our results bring into focus some of the pernicious trade-offs that can occur as one seeks to transition to large-scale sources of energy supply: bringing in jobs and generating economic activity, but also inviting corruption; seeking to supplant fossil-fuels (and lower carbon emissions), but only by increasing levels of debt, or creating new energy security threats." Prof Walter, of the International School of Management ISM in Germany, said: "While it has to be kept in mind that our data analysis was correlative and does not automatically imply a negative causal effect of hydropower on poverty, corruption and debt, it is noteworthy that we found any effects at all on the national level, even though hydropower stands for such a small part of respective countries' economies. Practitioners maybe should rethink their underlying assumptions about how they evaluate hydropower's risk." The research team used data from the Uppsala Conflict Data Programme; poverty gap figures, GDP per capita data, total debt stocks figures, the World Bank's Worldwide Governance Indicators and metric greenhouse gas emissions per capita. Hydropower states are defined in this report as countries using dams for at least 70 percent of national electricity. Hydropower is the largest source of renewable electricity around the world providing 16.3 percent of the world's electricity and 85 percent of its renewable power in 2015. Hydroelectric dams are active in more than 150 countries, generating at least 50 percent of total electricity in more than 60 countries and greater than 90 percent in more than 20. Of the $11.1 trillion the world was anticipated to spend on energy infrastructure from 2005 to 2030, $1.9 trillion was expected to go exclusively to hydropower (Haas, 2008).